Are you the one who longs for the morning first cup of tea which makes your morning fresh? Is this cup of tea the most amazing thing that happens to you in the entire day? Then you perfectly belong to my Zone. Here I am to share with you those few mornings which gave me the best cup of tea. Munnar can be reached either via air or by railways. Nearest airport to Munnar is located in Cochin as already mentioned which is called as Cochin International Airport. Nearest Railway Station to Munnar is again situated in Cochin City. One is located in Ernakulam and another one in Aluva. 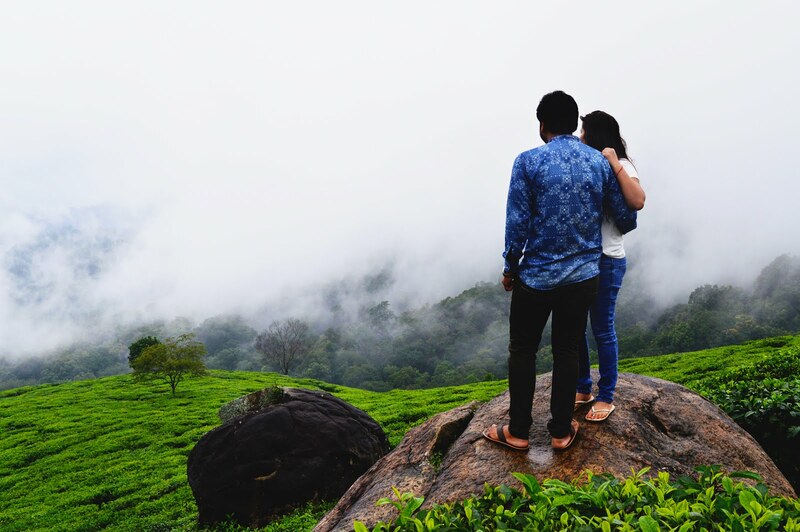 Both of them are at a distance of approximately 150 Kilometer from Munnar. I am talking about those days, when I was on a trip to Kerala with Nitin. It was around 7 PM in the evening when we landed at the Cochin International Airport situated in the city of Kochi, in the state of Kerala. It is also known to be the world’s first fully solar powered airport. Atlas Hotel Airport Apartmentlocated just 500 meters from the Airport was pre booked by us for one night stay in Cochin. Hotel nearby airport was chosen intentionally. We had to head straight to Munnar early morning which is a travel of around 110 kilometers (approximately 4 hours). We didn’t want to exhaust ourselves in travel just for one night stay at Cochin. Also it is preferable to get your stay nearby Airport only, So that you can take rest for the maximum time before you proceed further for the trip. Public transportation was not a problem. As we stepped out of the Airport, we got a decent taxi option to drop us to our destination stay in Cochin that is Atlas Airport Hotel. He charged us an amount of Rs. 50. Also to inform you in advance (about which we got to know a little later), many hotels in Cochin which are located nearby airport provides the facility of free pick and drop from Airport. So you can easily avail that facility which is just a phone call away. It was around 8 PM and we were inside hotel vicinity. We were at the reception for check in formalities. After all the formalities were done, one of the attendent came to help us reach our room. The entire look and feel of the hotel is in the form of Apartments. It is said that this apartment got into some legal issue due to which the property is being used by the hotel now. You may feel a little secluded at times because of its structure, but overall the stay was decent. The place is clean and tidy. Each room had a separate kitchen and a living area. Size of rooms though are small as compared to rooms of other hotels but is alright for a stay of one night. All the basic items were all present and we found no issues staying there. We had our morning breakfast from the restaurant located just in front of Atlas Hotel. Food and ambience were all okay. Please be noted that, two bedroom and three bedroom kind of rooms are also available for families. Until now we were not prepared with the hired car which will stay with us for the next 6 days. After breakfast we searched for Kerala taxi services on internet and also investigated few from reception at Atlas AirportHotel. We made phone calls to few of them and consult their pricing. Finally we got Kottayam Taxi Services with the reasonable pricing. We are now done with the mode of transportation part. The driver had to reach us in next half hour. Till then we prepared our bags and collected our luggage to the reception. This is the time when our journey actually had to start. Driver with us was really an expert and was aware of all the places that could interest us. He was able to speak in English that too in South Indian Style. Hindi language is not their cup of tea. Still our driver was showing keen interest in learning Hindi. We got friends with him on the way itself. He used to carry a notebook with him all the time. He has a habit of noting down Hindi words and their meanings in English and Malayalam (south Indian Language) in order to learn and remember. Driver was giving us a stoppage at every small interval to let us enjoy the view. He was also showing interest in our enjoyment. He was asking himself to let him take our pictures on the way. I must say he is a good photographer too. May be this activity is an add-on to his performance in his career. Driver was able to judge our keen interest in travel from the way we were busy mostly in gaining detailed facts about places and related stuffs. We were mostly taking pictures and trying to take a good shot of everything. So he also gained interest in helping us learn more about his state Kerala. He wanted to show the most of it. Munnar is a hill station in Kerala which is widely known for its Tea Plantation. One another factor that makes it one of the most attracting places for visitors is its cool climate. Munnar has got the highest Peak in South India and that spot is famous as ‘Anamudi’. This spot is thus ideal for trekking purpose in South India. On the way from Cochin to Munnar we encountered multiple tea gardens that look amazing in their own way. The beauty of Munnar lies in the tea plantation. Most of which is taken over by the Tata Group. Few other tea estates include Harrison, Brooke Bond, etc. To add on to the fame of Munnar for its tea plantation, Tata Tea opened a Tea Museum in Munnar for the travelers. And so the Munnar is one of the biggest tea trade centers. We did take halt in between to enjoy some these tea gardens. 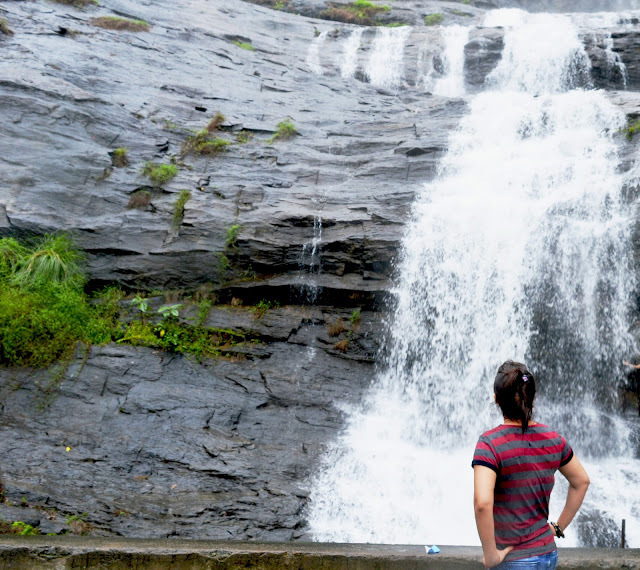 Cheeyappara Waterfalls was also visited by us on the way from Cochin to Munnar. It is located on Cochin to Madurai Highway. 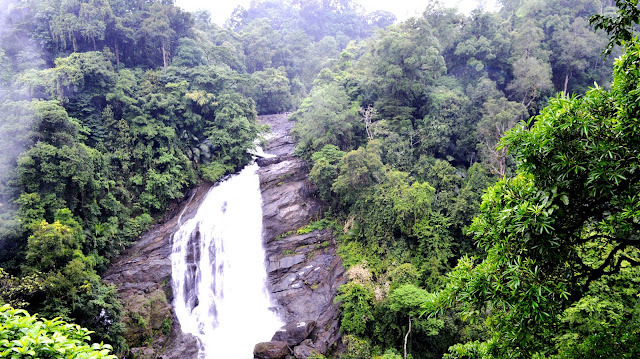 It cascades down in seven steps and is one another famous spot for trekking in Kerala. We took a halt of around half an hour over here. Initially we were only watching the water fall. It was the driver who asked to get inside the fall and he will click the pictures of us. We started moving up step by step. It was all wet and little slippery. We had to move on slowly. I could now feel the droplets on me. It was so cool. We reached the end point and enjoyed the droplets falling on us. We didn’t want to completely get wet. We still had few hours to reach Munnar. Spice Garden was encountered on the way itself where we had a halt of approximately an hour. It was a ticket system. It was not that costly. So we bought the tickets amounting to Rs. 100 per person to experience it once. Garden expert took us on the tour and explain varied variety of plants with their usage in day to day life. There was another old aged pair with us on the same Garden Tour. These much experienced people helped me learn about the plants and their usage much better. Old is Gold! Garden Masters had mentioned the names of the plants on board along with them to make it easier for us to learn. Many of which were a surprise packet for us to know. 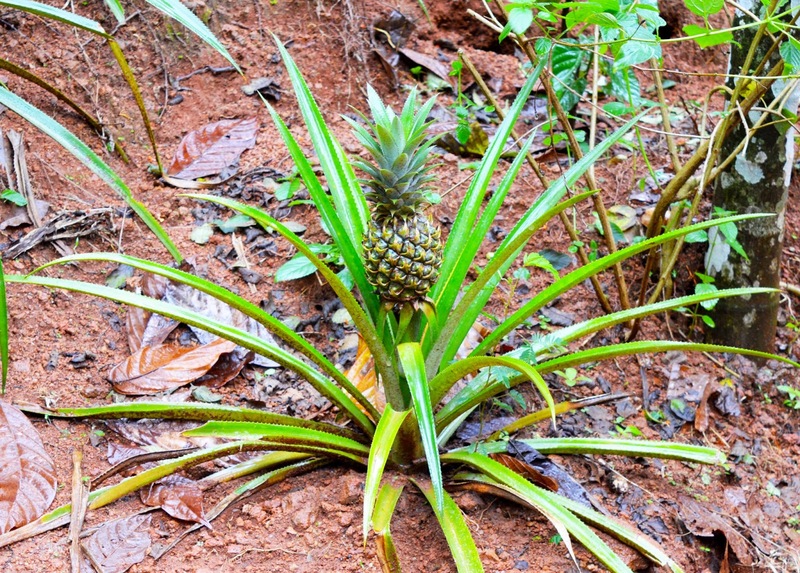 My trip to Kerala really helped me gain my general knowledge. Otherwise we would have never known that the plants which we have always heard about are also used in making medicines. These people also provide an Elephant ride. We didn’t buy that deal as we found it expensive. Also we thought that the Elephant ride can be done at our upcoming destination ‘Thekkady’ in ‘Periyar Wildlife Santuary’. Then we headed straight to our destination stay at Misty Mountain in Munnar. It was around 5 or 6 PM in the evening. Misty Mountain is one of the renowned property of Munnar when comes to standard stay. It is a kind of small resort. But to add further, the view it provides is just out of the world. It seems the entire Munnar can be seen from here. There exist two categories of rooms; one of a kind is facing the fantabulous View of the Munnar and others at the back side of the Hotel. So I suggest inquiring about your room location before getting it booked. Pricing of the room also depends upon its location. Also the size of the room on the back side of the hotel is smaller comparatively. Proper parking is available for the visitor. Our driver faced no issues staying there for a night and waiting for the next day sightseeing. There is one Terrace Garden where we had our lovely evening. There were two restaurants in the hotel vicinity itself. One of them serves buffet (which was included in our package) and the other one serves Ala-Carte. Buffet restaurant as experienced by me provides the best of the view. The view from the glasses of the restaurant was the first thing that attracted me. So I chose the table facing the view to enhance the quality of my breakfast. The food options were mainly South Indian. In fact the other Non-South-Indian stuffs were also cooked little bit in South Indian style. I ended up with South Indian dishes including Idli – Sambhar and few of the fresh fruits. Fresh Orange / Mango Juice are my favorite so I never miss it in my meal if available. Other food items including Paranthas and Chhole were also available. I must say, the South Indian Dishes here tastes little different comparative to what is cooked here in North India. Probably it’s the difference in the spices they use. Punarjani Traditional Village is famous for its Martial Arts (Kalaripayattu) and Kathakali Show. It is located just at a distance of 1 kilometer from Misty Mountain. We went for the show in the evening on the first day of arrival to Munnar. We thought of leaving the next entire day for sightseeing purpose. It took us hardly 5-10 minutes to reach. Only five minutes were left for the commencement of the show which was at 5:00 PM. We bought the tickets costing Rs. 250 per person for both the shows. The stage was all set and many local and outside visitors were already there to enjoy the show. I have keen interest in such kind of shows. I and Nitin, settled down on our seat and the show started. It was my first time to experience the live show of traditional dance of Kerala known as ‘kathakali’. The artists wear the perfect traditional attire and the Duration of the first show ‘Kathakali’ was of 1 hour. The performance was based on the story of Lord Krishna of his childhood days. The performance was all action based. There was no narration but only music. Still we were able to recognize the theme of the show. That was amazing. I salute their hard work to get ready with such heavy attires and loud make up before each show they represent. Another amazing part of the show is that it is performed by the males. Males were wearing those attires and wearing make up. Terrific! The show was entertaining. Awaited was the next show based on ‘Martial Arts’. Martial Art is another tradition in South India. They believe in giving such skills to all including males and females. The duration of Martial Arts show was around 45 minutes. Kalaripayattu is the style of Martial Arts originated in Kerala. What amazed me over here was that the performers of Martial Arts were a group of 10 to 12 artists which include both male and females. The females were competitively performing the skills with confidence. That impressed me a lot. This group has one master. I and Nitin, were seated on the very front part of so I could see the master narrating the performance. Each time before any artist come up to the stage they were doing Pranama to their master by touching his feet. I was overwhelmed by witnessing such love and respect for their Master. The show was fantabulous. It was performed using swords and sticks. I was impressed by the way they were fighting and showcasing the moves of Martial Arts. The seats were arranged in staircase manner so we found it very comfortable to view the show from anywhere. The ambience was also very pleasant. In a nutshell, we spent two hours thoroughly enjoying the show and worth spending 250 rupees. Tea Estate view though started on the way from Cochin to Munnar itself and the count is endless. 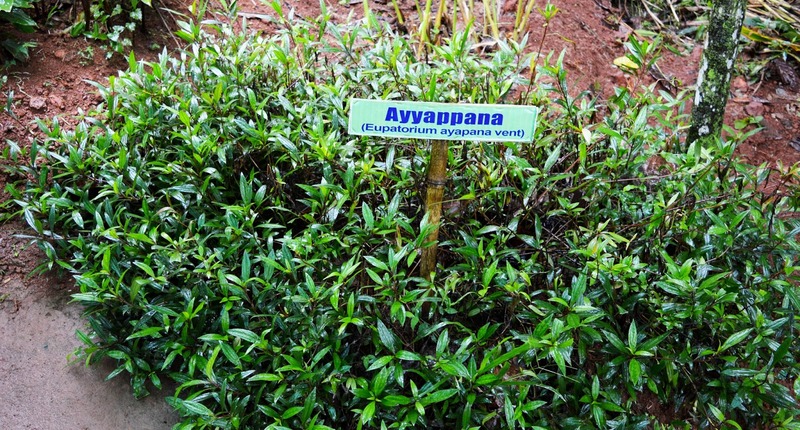 It seems the land of Munnar is all equipped with tea plants. The way this plantation is done left a remarkable impression on us. I can say tea plantation also adds on to the scenic beauty of Munnar. Driver gave us a halt on the way at around two of the tea estates one of which belonged to Tata Group. We took lot of pictures of nature and us too. Driver also took some pictures of us together. Initially we were hesitating to hand over the camera to him. After the first trial we gained confidence on him as well his photography too. Our Driver was also enjoying the sightseeing I must say. Plantation in the form of terrace was just mesmerizing. Every branch is cut in a way to give fancy look to the entire garden. Clouds were passing by our face and sometimes blocking the view. Then quickly traversing through the land vanishes in few minutes. I was quite stunned by what nature is providing me with. The weather was cool and romantic at the same time, even though it was the month of June. I wanted to keep on walking all the way to Garden. It seems there is no limit and I can just hide myself inside in order to witness what more nature has to gift me. Mattupetty Dam is located at a distance of around 18 kilometers from Misty Mountain which is a ride of around 1 hour. After our visit to Tea Estate we headed straight to Mattupetty Dam. The climate was again very cool and romantic. 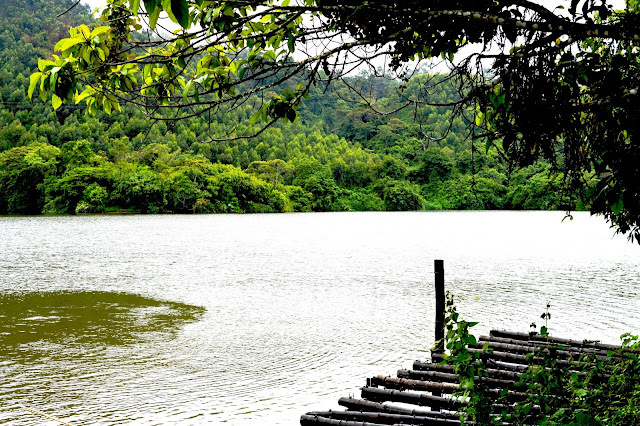 Another thing that charms is the location of the Dam inside the hills of Munnar. There exists a lake along with the Dam for visitors to enjoy boat ride. The Dam is built for the purpose of conservation of water for generation of hydroelectricity. It is also a continuous source of water for many wild animals and birds. In order to enhance tourism the boat ride system was initiated at the lake. Though the charges per boat seems little expensive to me. Echo Point is situated nearby to Mattupetty Dam which is a ride of approximately 15 minutes. As clear from the name itself the place is popular for its ability to echo back the voice. It is a very renowned picnic spot where tourists come to experience nature and enjoy the misty Mountains. Boating option is available here also and lots of fruits and snacks vendors can also be found. The place is so quiet and serene that I can hear the sweet voices of birds chirping and wind blowing through my face. More the nature was gifting me something new to experience, more I was getting into it to know more about it. Top Station is located far way from Mattupetty Dam that is a ride of around one hour more. So finishing off with Dam and Echo Point which were located in between the way to Top Station, we headed straight to Top Station. To advise you in advance, there is no night life in Kerala and the drivers also prefer coming back to the city by the evening. So plan your itinerary according to that only. Top Station located in the hills of Munnar at the height of approximately 6000 ft provides us the enlarged view of Western Ghats. What made this place more amazing is the peace giving journey of an hour by road. 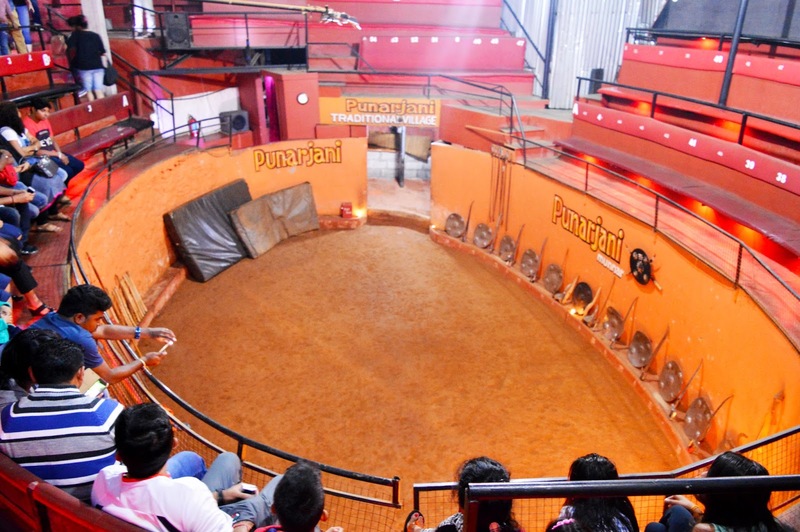 It charges an entry ticket of Rs 20 per person. 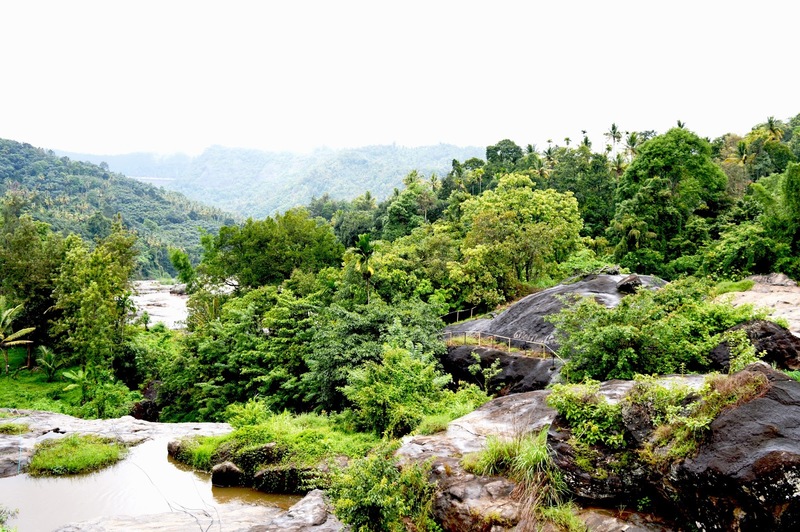 All over Munnar or we say Kerala; it’s the greenery that took my heart away. Even describing what we saw at each tourist spot in Munnar would be a replication of my thoughts. It was that time when I was travelling on the roads of Munnar I could feel the pure air I was breathing in. As the time was passing by, I knew that the time still had to come when I had to head back to my native place; I was not in favor of leaving the place. Probably I have written much but still I feel from inside that I am not able to explain my feelings. The beauty of Kerala will surely leave you speechless. Your tour dairies are really exciting for me and I am really interested to know more about them. You are the only person that has been able to tell me about many new places.